Altough it looks like a stone sculpture, this Monument of the September Uprising was actually built from moulded steel. One of the first monuments constructed this way, and the only one in Bulgaria. The September Uprising broke out in 1923. It was an armed insurgency staged by the Bulgarian Communist Party, under Comintern pressure, as an attempt to overthrow the government of Bulgaria. Besides its communist base, the uprising was also supported by agrarians and anarchists, both fighting for a common goal: the “establishment of a government of workers and peasants” in Bulgaria, and not the conversion of the country’s socioeconomic system to communism. Later, when the Communists rose to power, it was proclaimed that the September Uprising was the predecessor of Communism in Bulgaria. The leaders of the uprising were Georgi Dimitrov and Vasil Kolarov, later proclaimed heroes and patrons of socialism. The authorities crushed the Uprising; many activists and civilians were killed. Communist history claims that there were several thousand casualties; later, after 1989, research proved there were around 840. The communist legend, this time overlapping with historical fact, states that the village of Maglizh was the first to rise up, leading other villages and cities to do so as well. The mythology needed its corner stones, and Maglizh was one of them. 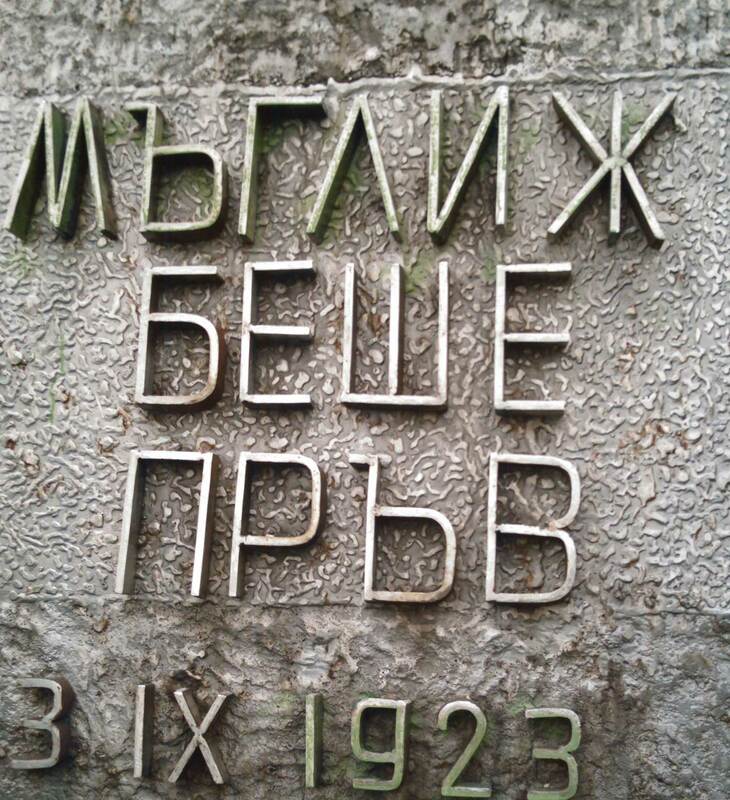 It had a great history–with its Thracian tombs, medieval ruins, monasteries dating back to the Bulgarian National Revival period–so the Communists added their mark: they put up the monument and celebrated the place in their usual way, through books, poems and events. 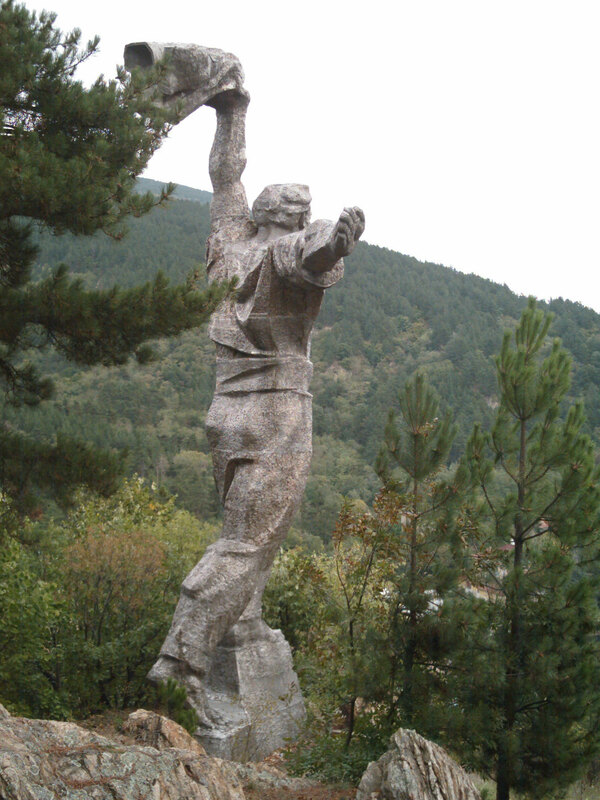 The 15-meter statue is located in a park overlooking the village. It depicts a rebel, with a flag in his hand, calling to action his fellow villagers. He is standing on a pedestal on which part of poem, famous during the Communism, is inscribed: it states that Maglizh was the first place to rise up. 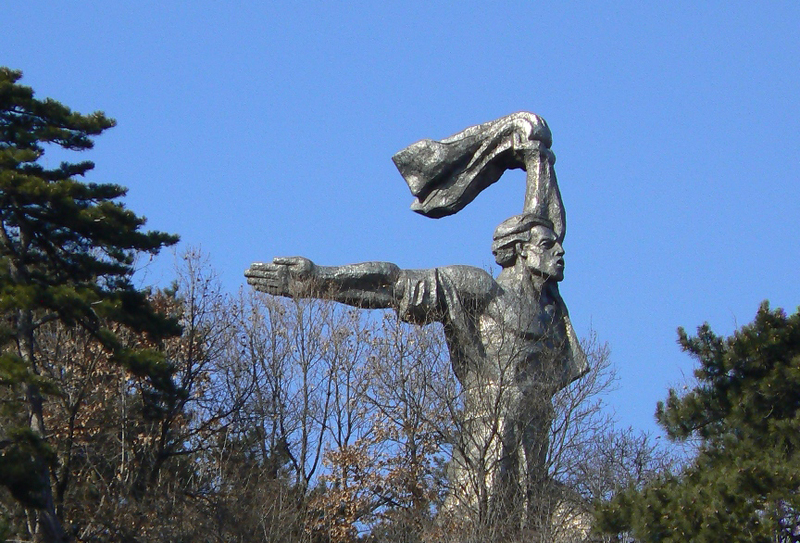 It is said that the monument portrays a young villager from Maglizh who started the uprising. 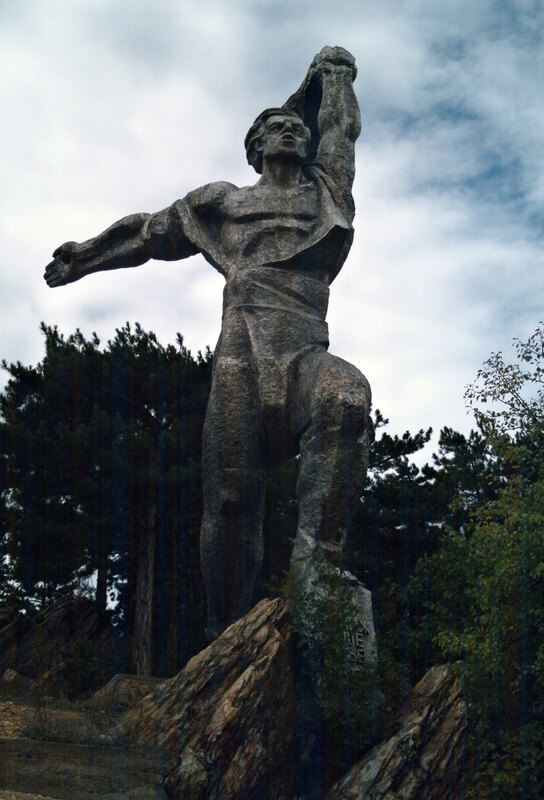 An interesting fact about the monument is that it is made of specially moulded stainless steel–one of the first of its type produced in the world, and the only one produced in Bulgaria. It’s fascinating: if you don’t look too closely or if the sun is not too bright, you might think it’s a stone statue since the forms and techniques used are the same ones sculptors usually use on stone sculpture. This is symbolical as well and it underlines the importance of the uprising and the monument. Monuments to the September Uprising were erected in all towns and villages that took part in the uprising. After 1989 the government didn’t try to remove a single one of them. We can only speculate about the reasons. The least plausible one is that they didn’t think of them as communist monuments, but that they continued to hold the victims of the rebellion in high regard. A more likely reason is that the locals, some of them descendants of those rebels, still remember and value their local history and people’s sacrifices. Monuments of local value are also to be found in remote places, mostly forgotten and without any direct references to communism and communist ideology.